Overview - Icon of the American avant-garde Hollis Frampton made rigorous, audacious, brainy, and downright thrilling films, leaving behind a body of work that remains unparalleled. In the 1960s, having started out as a poet and photographer, Frampton became fascinated with the possibilities of 16 mm filmmaking. In such radically playful, visually and sonically arresting works as Surface Tension, Zorns Lemma, (nostalgia), Critical Mass, and the enormous, unfinished Magellan cycle (cut short by his death at age forty-eight), Frampton repurposes cinema itself, making it into something by turns literary, mathematical, sculptural, and simply beautiful—and always captivating. This collection of works by the essential artist—the first home video release of its kind—includes twenty-four films, dating from 1966 to 1979. There is another side to filmmaking. A side that Hollywood and our local cineplexes quietly pretend doesn't exist. A dark, strange, mysterious side seeped in crackling grain and dangerous ambiguity. A side littered with formless shapes and distorted echoes. Though its characteristics frequently defy conventional labels and genres, we call it "experimental" –- if only for lack of a better word. While the medium of cinema has proven to be a more than capable venue for storytelling, there really is no rhyme or reason for this coupling to be its lone association. After all, the art of recorded images has no fixed function or exclusive tie to narrative. 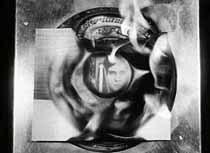 The world of experimental film recognizes this reality and aims to explore different modes of expression. A true definition for the art form is somewhat hard to pin down, and indeed many argue over what truly qualifies as experimental. Despite the varying opinions, most will agree that experimental films often place their emphasis on form and/or abstract imagery, rather than narrative content, frequently to the point where recognizable stories are seemingly nonexistent. The literal shape of the film becomes the central focus, dissecting concepts of editing, movement and composition in order to examine their very intellectual and emotional essence, before then reconfiguring them into something new. At its best, experimental cinema can set the mind and soul aflame. At its worst, it can cause viewers to quizzically scratch their heads, shrug... and then claw their eyes out. Thankfully, the aptly titled 'A Hollis Frampton Odyssey' is much more the former than the latter. The collection presents twenty four short pieces from the celebrated experimental filmmaker, offering a diverse and eclectic selection of films that run the full gamut of avant-garde cinematic expression. A true journey through the director's unique perspective, the assortment of films wavers between the glorious, ponderous, maddening, banal, transcendent, and frustrating –- and often all at once. Spanning 1966-1979, the shorts are divided into four categories: 'Early Films,' 'Zorns Lemma,' 'Films from Hapax Legomena,' and 'Films from Magellan.' While there is some decent variety among the included works, most of Frampton's pieces adhere to similar structural tendencies, and the director often plays with minimalist techniques and simplified forms. For instance, one short, titled 'Lemon,' is literally a single shot of a lemon as light slowly illuminates the fruit and then dissipates, leaving it in darkness. While that might not sound like the most stimulating of visual experiences, in reality, the short aims to deconstruct the essentials of filmmaking, simplifying its structure to its mere necessities –- namely a stripped-down observation of some kind of change. Likewise, many of the director's other films provide similar intellectual and academic analysis on various components and methods of filmmaking, as Frampton attempts to break down different core tenants of the medium. Rhythm and repetition becomes paramount in many of these works, and the director often adheres to precise mathematical tempos. The sixty minute 'Zorns Lema' even features a complex alphabetical structure that presents a montage of city signs that slowly transition to brief snippets of imagery (swaying grass, crashing waves, a man painting a room). Time and memory are also a common theme throughout these works, particularly in one of my favorite pieces, '(Nostalgia).' The short features simple shots of the director's still photographs while narration describes their origins –- all while they are slowly burned to ash atop a stove. Another notable piece, 'Poetic Justice,' features various shot descriptions on white paper, explaining what the hypothetical image on screen should look like (my favorite details a couple being menaced by an eagle). This forces the audience to actively participate, forming the often bizarre imagery themselves. Going along with the visual experimentation, when audio is present in the shorts, it is rarely used in a traditional manner, and Frampton likes to play with sync in order to disconnect sight and sound. Perhaps the most striking series presented is the ambitious 'Magellan' cycle of films. An impossibly epic and sprawling series of works, the project remains mostly unfinished due to the director's untimely death in 1984. The pieces presented are clearly only fragments of a much larger whole, but still offer some startling imagery and ideas. Several one-minute shorts reveal simple images (clouds, streaming sparks) that play out almost like screensavers. The last piece completed, 'Gloria!,' even spotlights some early work with computers, and beneath all of the heady observations about cinema's past and present, is a fairly straightforward tribute to Frampton's late Grandmother that is, dare I say, actually kind of sweet. As fascinating as these pieces can be, there are times when Frampton's work can become excessively intellectual and academic, stretching out concepts that work well on paper but fail to totally engage on screen. While I'm never one to belittle an attempt at intelligent analysis or theorizing, there are instances when a few of the shorts begin to out stay their welcome, with several pieces simply running longer than they need to. This leads to a slightly self indulgent air, and a bit more restraint could have made a few of the films much more potent. Even shorts which I really admire, like '(Nostalgia)' and 'Poetic Justice,' go on far longer than they really need to. Of course it's important to remember that traditional entertainment really isn't the director's goal here, and to a certain extent, experimental cinema is by its very nature self indulgent. Thankfully, Frampton does inject a playful, wry sense of humor into the proceedings, which when coupled with the inherently simple nature of his films, does help to mitigate any pretentious aspects of the material. With that said, even as someone who admires works like this, I must admit that it did take me a while to warm up to Frampton's particular style, but once I did, I found the films to be mostly satisfying. 'A Hollis Frampton Odyssey' takes viewers on a journey into the other side of filmmaking. An eclectic voyage into the frustrating but often rewarding world of avant-garde cinema, these shorts present alternative forms of expression that reject traditional storytelling in favor of intellectual analysis and abstract thought. Despite my own admiration for these works, I must stress that experimental films really aren't for everyone, and as someone who has dabbled in the genre himself -- and seen many perplexed, annoyed audience members' faces staring back at him -- it's tough to truly recommend this set to the uninitiated. For those that are already experimental cinema enthusiasts, however, this disc is a no-brainer. 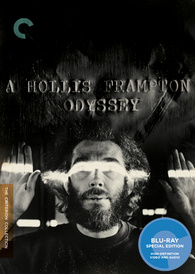 Criterion presents 'A Hollis Frampton Odyssey' in their standard clear case with spine number 607. 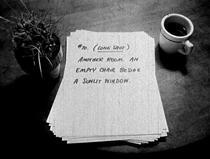 All twenty four short films are viewable separately or together. Brief text introductions to the various pieces (often by Frampton himself) are included in the menu for many of the shorts. The BD-50 region A disc comes packaged with a booklet featuring writings by critic Ed Halter, Frampton scholars Bruce Jenkins, Ken Eisentstein and Michael Zryd, and a piece by film preservationist Bill Brand. All of the films are provided with 1080p/AVC MPEG-4 transfers in the 1.33:1 aspect ratio in black and white or color when called for. The experimental nature of the material makes it difficult to judge these transfers on any kind of traditional scale. With that said, a detailed write-up by Bill Brand about the transfer procedure and philosophy that is included in the package leads me to believe that these films are essentially presented exactly as they should be. The 16mm source prints vary in condition from film to film but various scratches, tears, specks and vertical lines are visible throughout. Given the low budget, stripped-down nature of Frampton's production, it's hard to say whether these signs of damage are age related or merely inherent to their original construction, but either way they do not negatively affect the presentation. A moderate to heavy amount of grain is apparent throughout. Detail differs from short to short and the unconventional content doesn't always lend itself to particularly interesting visuals. With that said, there are a few impressive images. One portion of Frampton's Magellan cycle focused on a steel mill is particularly striking and plays out almost like a video compression stress test with thousands of tiny sparks of fiery steel streaking through the air. The color films feature decent saturation but the images all have a predominantly flat quality. Contrast levels are inconsistent with some slight pulsing and black levels are often elevated to a dark gray. Though I've given the video a 3.5, one should really take that score with a grain of salt. While there are some truly beautiful and interesting images peppered throughout, Frampton's aesthetic is far off the beaten path and these shorts are not intended to be visually impressive by traditional Blu-ray standards. They are what they are, and Criterion seems to have faithfully represented the director's intentions. Though many of the films included actually feature no sound at all, those with audio are presented with English LPCM mono tracks. Much like the video, these mixes are a rather hard to judge by conventional methods. When there is dialogue or narration, speech comes through well enough but can sound a little thin and muffled. Effects work is minimal but some avant-garde audio manipulations are used (most notably reverse playback). Hiss and background static are audible throughout many of the shorts (sometimes even intentionally added) but I didn't find them to be terribly distracting. Dynamic range is flat and bass activity is negligible. From a technical perspective, these mixes are anything but impressive, but the artistic manner in which Frampton uses sound can be quite fascinating. Again, like the video transfers, the experimental nature of these audio mixes sort of defy conventional scoring, but they seem to accurately reproduce the filmmaker's intentions. Remarks by Hollis Frampton - Excerpts from audio interviews with the director are provided on selected films. These comments last a few minutes each and play over an image of the director. The short film 'Lemon' is the lone exception, which instead features remarks that play over the film like a traditional commentary. Frampton discusses his stylistic techniques, inspirations, and artistic intentions. Though the director's explanations can be quite oblique, it's refreshing to hear from a filmmaker who doesn’t play coy about the meaning of his work. Given the heady nature of these shorts, these remarks prove to be truly insightful, though some viewers may prefer to forgo Frampton's explanations in order to let the films simply speak for themselves. Interview with Hollis Frampton (HD, 20 min) - Presented in upscaled 1080i, this is a 1978 interview with the filmmaker. Frampton discusses his path toward filmmaking, aspirations as an artist, and influences. Some talk is also dedicated to the art community in New York at the time, and the relationship of narrative to Frampton's films. Some of the director's comments can get a little pretentious, but he also displays a certain wry humor and provides lots of interesting information. A Lecture (HD, 23 min) - A 1968 performance piece from Frampton is recreated here using approximated images and recorded audio. A voice over narration from artist Michael Snow plays over the images. Essentially an academic lecture on the nature of film, the piece is full of interesting intellectual concepts but will likely only appeal to big cinephiles. By Any Other Name (HD) - A few selections from Frampton's seventy-piece xerographic series of product labels are included in a gallery. 'A Hollis Frampton Odyssey' takes audiences on a maddening, frustrating, and fascinating journey through the unique waters of experimental cinema. Frampton's work is intellectually potent but can sometimes come across as a bit self indulgent. Thankfully, the director's minimalist, structural approach manages to succeed regardless with both wit and artistry. While films like this generally have a small audience, those who enjoy avant-garde work should find a lot to like. Video and audio are not impressive by conventional standards, but faithfully represent the director's intentions. Supplements offer some worthwhile insights into Frampton's process. While it might not be a great introduction to those unfamiliar with experimental cinema (to be honest, I don't think there is such a thing) fans of the genre should definitely take a look.